To view our current inventory of fine pre-owned contemporary premium sextants, click here! Presented is an absolutely outstanding and what was a flawless "Collector Quality" example of the C+P Horizon Ultra model which has special Polarizing shades for the index mirror and horizon mirror, along with the normal shades. Other features of the Ultra are a double prism lens mounted as a shade which establishes perpendicularity, and a special second micrometer wheel which adjusts for index error. Both are exclusive to the Ultra design. It has a special brass alloy frame which is exceptionally strong, providing a guaranteed accuracy of 9 seconds of arc. This compares to 20 arc seconds of error in most other sextants. The white finish is more heat resistant when used in tropical climates and provides increased accuracy. The lighting system is working. Recently, the handle was damaged in our shop by putting it in contact with a chemical which stained it. We have reduced the former selling price of $1595.00 by $200.00 to compensate for this. This picture shows the extent of the stain. The immaculate Mahogany carrying case is shown below. This example has all its original paperwork, a manual and undated certificate that shows a matching Serial No. 12386. It is housed in a mint condition Mahogany wood case with a 4 x 40 scope. PROVENANCE: It was given as a gift to a person leaving the Navy and was never used. This sextant is in such excellent condition that it can be considered, "as new". It is suitable for someone wanting a quality German brand at an affordable price. CONDITION: Except now for the handle's stain, there is so little evidence of wear or use that it can be considered as almost new in all other respects. For correctness, there is a slight loss of brass plating on the case's hardware. It has recently been adjusted to negligible index and side error. This is a fine example of a previously owned Cassens & Plath Ultra sextantle and is suitable for a collector or for use at sea . It is is being sold at a very low price which cannot be duplicated. QUALIFICATIONS: We are one of the few company's still selling navigation instruments that know anything about them. For purposes of judging whether Joel's opinion counts, he was the editor of the chapter on sextants of the 1977 Edition of "Bowditch", The American Practical Navigator, NAVPUB 9; a member of the U.S. Naval Academy Navigation Symposium Board, 1975 -1978; the author of a book on marine sextants, Cornell Maritime Press,1975, and the founding president of Nautech Maritime Corporation which partnered with Tamaya of Japan in the introduction of the MS 733 Spica, the MS 833, Jupiter, MS 933 Venus sextants and the famous NC-2 navigation computer, in the U.S. market. Joel is a retired Master Upon Oceans, and held a U.S. Navy "D" Qualification as a Senior Skipper - Oceans. For six years he was a Varsity Offshore Coach at the U.S. Naval Academy. 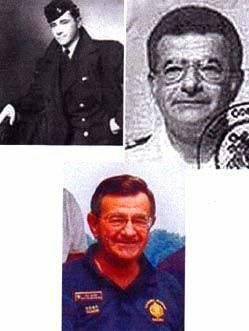 Some of his present and past memberships include the: Naval Academy Alumni Association Associate Life Member, Association of Naval Aviation, Silver Wings, The Tailhook Association, Naval Academy Sailing Squadron, McCampbell's Aces Squadron, Naval Historical Foundation, and the Naval Order of the United States. CASSENS & PLATH HISTORY: At the turn of the twentieth century Hamburg, on the river Elbe, the home of C. Plath (named after founder Carl Plath) was the leading seafaring port in Germany. However it was being challenged by Bremen, that other great North Sea port on the river Weser. This arrangement worked until 1962 when C Plath sold out of the partnership and the two companies went their separate ways. It was from this point on wards that C + P began to manufacture their own instruments, no doubt heavily reliant on C Plath designs. Therefore, there are no Cassens & Plath sextants older than 1962. Frame: Bronze with White enamel paint and bronze arc. Horizon Mirror: 57mm diameter Whole Horizon. Weight sextant: 4 lbs. 10 oz. Weight case 6 lbs. International buyers welcome, but should know their counties' import laws and must inquire first. We have satisfied customers in Argentina, Australia, Austria, Belgium, Bermuda, British Virgin Islands, Canada, Chile, China, Czech Republic, Democratic Republic of Congo, Denmark, Estonia, England, France, Germany, Greece, Holland, Hong Kong, Hungary, Iceland, Ireland, Israel, Italy, Japan, Kuwait, Latvia, Malaysia, Martinique, Mexico, New Hebrides - Vanuatu, New Zealand, Norway, Nova Scotia, Panama, Poland, Portugal, Puerto Rico, Romania, Russia, Saudi Arabia, Scotland, Singapore, Spain, Sweden, Switzerland, Thailand, Turkey, United Arab Emirates, USVI, Vanuatu - New Hebrides, and the Eastern Caribbean. This is a very special sextant from a pedigreed maker. It is a great find for that special person who can appreciate a great opportunity.